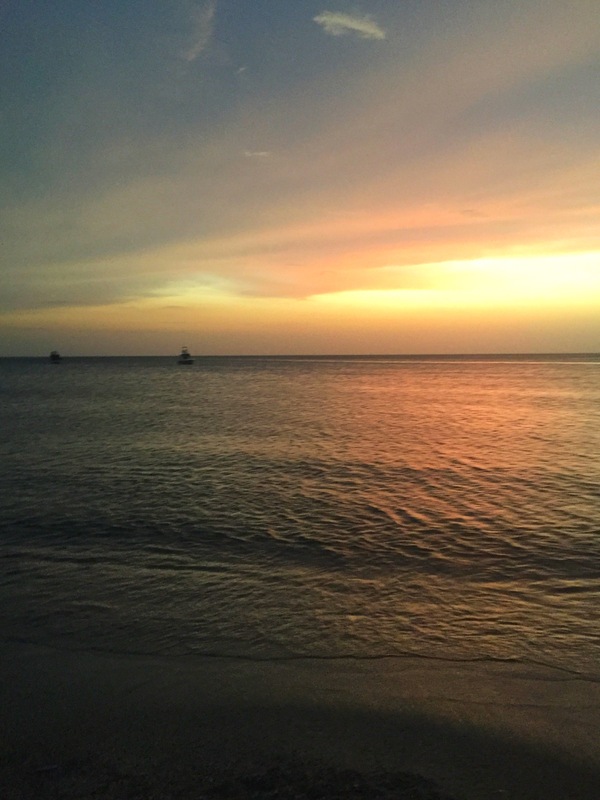 I wrote most of the last post while I was en route from Cartagena to Santa Marta, so I’ll pick up my narrative again from there. 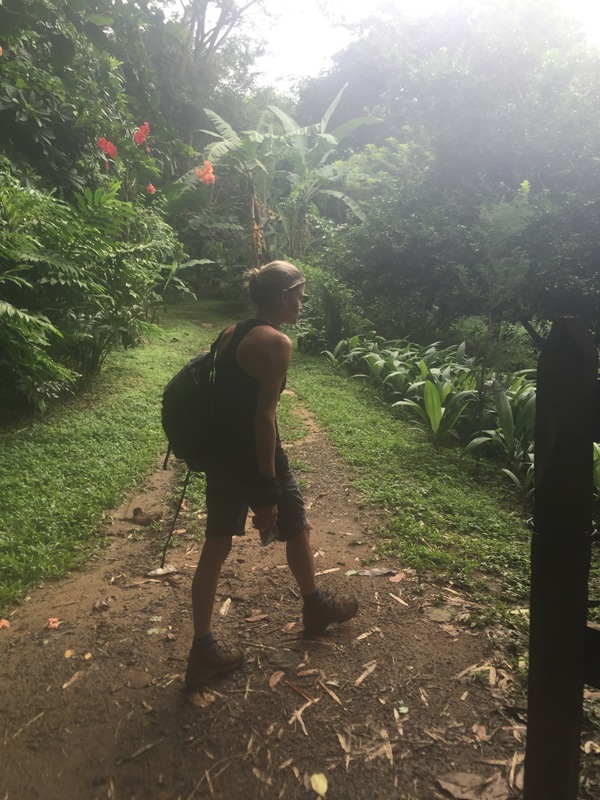 I had planned (and I of course use that term loosely) to start a trek into Colombia’s mountainous jungles the day after arriving in Santa Marta. This trek is Colombia’s version of the Inca Trail in Peru, an intense 5 day hike to the “Lost City” of an ancient civilization. Since I’m reasonably fit, and happened to have running shoes, first aid kit, flashlight and insect repellent all my in my bag I deemed myself ready to tackle whatever would come my way. 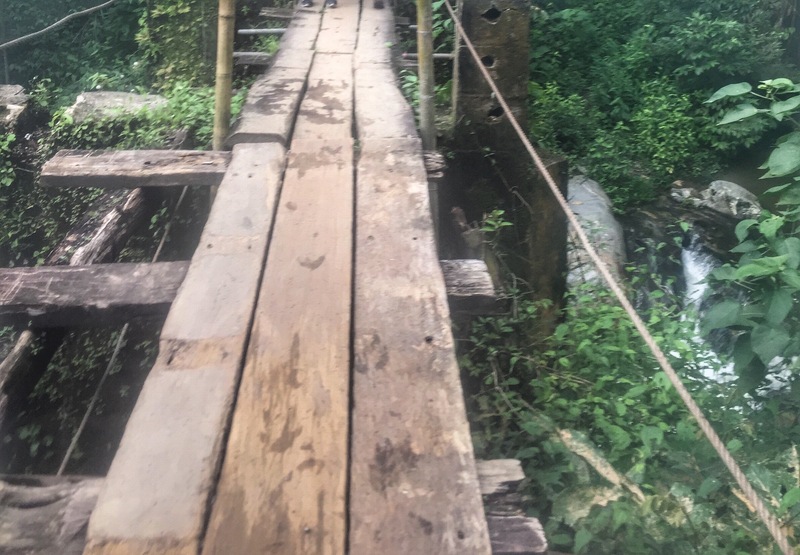 However, as soon as I arrived at my Santa Marta Hostel I saw a sign informing travellers that the Ciudad Perdida (Lost City) Trek was closed for 10 days. Ugh. Maybe if I had done some actual planning I would have known that, but it came as a surprise to me, and of course just after I had spent 3 days getting excited about it. 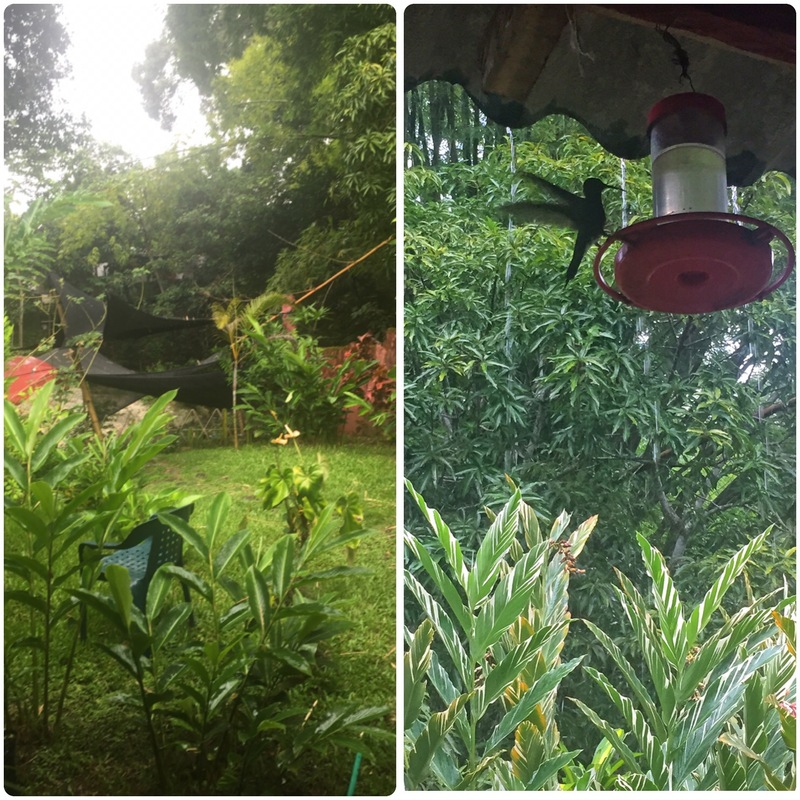 I think that should actually be the theme of this post: Things I Didn’t Do in Colombia. Starting off with this trek, I also managed to miss seemingly all the other highlights. Whenever I would chat with people I would inevitably end up having to weather the surprised looks from them as they learned how little of the tourist trail I was experiencing. I didn’t get to Medellín to take the Pablo Escobar tour. I missed Salento and the stunning scenery there. Skipped the National Park Tayrona where people camp in a hammock on the beach to see the bioluminescent algae at night. Never made it to the Pacific side of the country, nor the South at all. 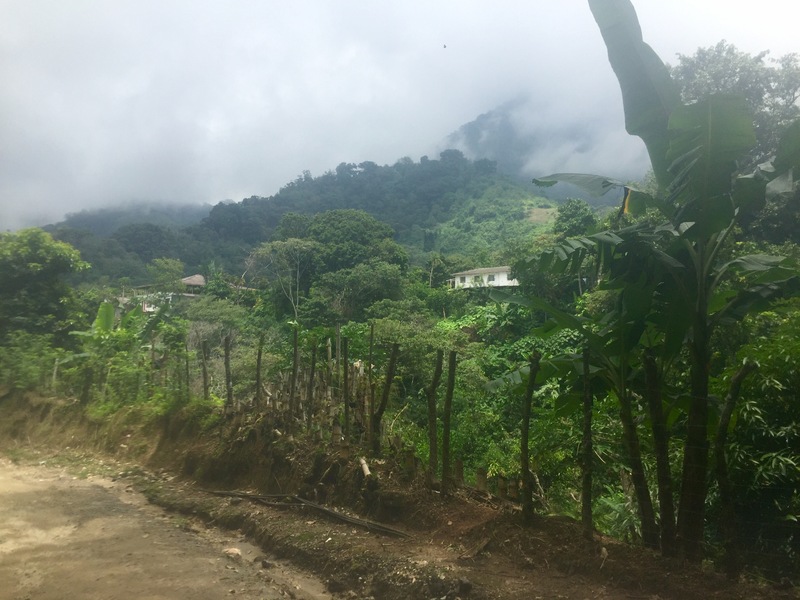 Even touring a coffee plantation somehow got knocked off my to-do list, and that really is surprising considering how much I had been looking forward to learning about (read: stocking up on) those magical beans that I rely on to kickstart my brain every morning. Looks like I need to get back to Colombia, pronto! I still want to experience it all! So, sensing that I might be in danger of losing my Travel Blogger Badge after that list I think I’ll launch right in to what I actually did experience…. Which is in short the rejuvenation that comes from meeting great people I really click with at a hostel that I didn’t want to leave. A special shout out here to the New Zealand kids that kept things entertaining, Victoria from New York, and Marc from Zurich – you guys were exactly what I needed this week! Victoria and I took a day trip to a small town in the Sierra Nevada mountains called Minca. We had heard about a hike to a waterfall near there and decided to see for ourselves. After negotiating a ride in a shared Jeep up the mountain we were dropped off on the Main Street of town where local teens were waiting to take tourists up further on the back of their motorbikes. We came to hike, so we declined and set off on our own. By early afternoon our destination revealed itself to be shimmering pools at the bottom of a small series of waterfalls, and we both happily plunked ourselves in the cool clear water. As it turns out, I learned later that night that “the” waterfall of guidebook fame was actually in the other direction… so chock that up to another item I missed! 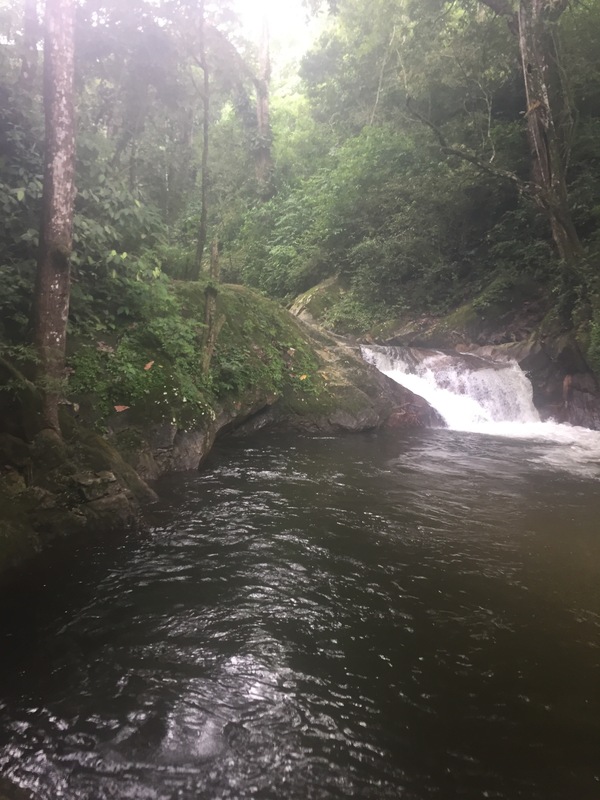 We knew we were in the rainy season so we’d need to start back down before long, but I’ll admit we took our time, naïvely assuming that a little rain while we walked after already being wet from swimming wouldn’t bother us. 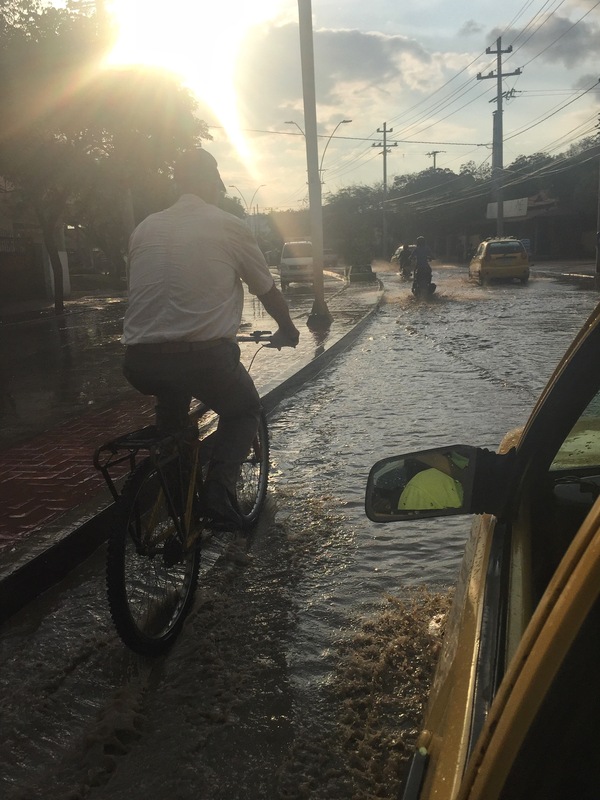 Wrong again – but it did bring in the adrenaline portion of our adventure when we realized we needed to get to town ASAP to avoid drowning in the torrential rain. Only one motorcycle was still up there, so both of us squeezed on a tiny bike behind our young driver and hurried off down the steep muddy and rutted trail. I was just hoping that when we crashed the worst injury would be scrapes and bruises, but I’ll give credit to his skill and admit that it was actually fun. Needing a place to wait out the deluge, Victoria and I agreed to have a late lunch at the home of this driver – he assured us his mother’s cooking was better than any restaurant in town. Agreed! The very traditional meal of vegetable soup followed by chicken with coconut rice and fried plantains was amazing! Well. 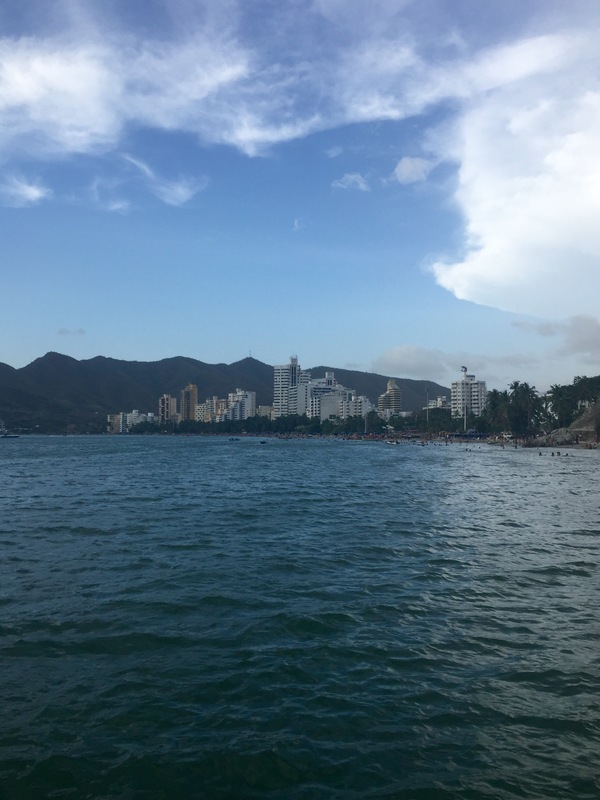 For a post on the 5 days I stayed put in the Santa Marta area, this is really getting long. The rest of my time was beautifully busy being lazy; alternating the beach, pool and hammocks with occasional walks to explore the area. Full of reading, laughter and conversations, and great food. I mentioned already I loved the hostel but I need to reiterate: If I could have moved permanently into Hostel Calle 11 Santa Marta I think I would have! Rumour has it the building was a former drug cartel mansion, but the new owners have created the perfect space for lounging. I think I’ll always smile when I think of this part of Colombia. Plus, the tranquil atmosphere was the perfect prep before arriving in the extreme chaos of that is the city of Bogota! I really like this post it is really original! I really want to go to Columbia so found this really interesting. However I’m going to India this year so maybe next! Oh India is a great time too! I spent three weeks there a few years ago and hopefully I’ll get around to writing about it! Pingback: A traveller not travelling (much) — aimlessly ali – Guinea Conakry Presidential Election 2020. I’ve only ever visited Europe but will be going to NYC next year and can’t wait to blog about it! I really did have a great time! And I’m so glad you like the list – definitely try to see those places if you ever get the chance! I know I’ll be trying to get back there for that! I have always wanted to travel to Columbia – your blog and photos have just inspired to take the step even more. Great writing! Thank you! I hope you do make the trip! !